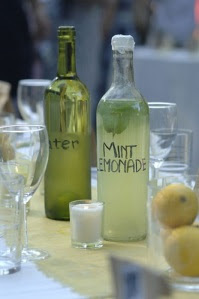 I love this idea of using wine bottles as water and lemonade carafs for each table. 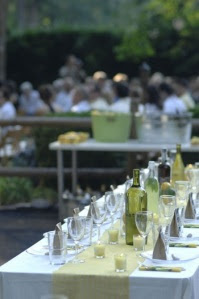 I was at a wedding a while back at a winery where they used wine bottles as their centerpieces. It was gorgeous!